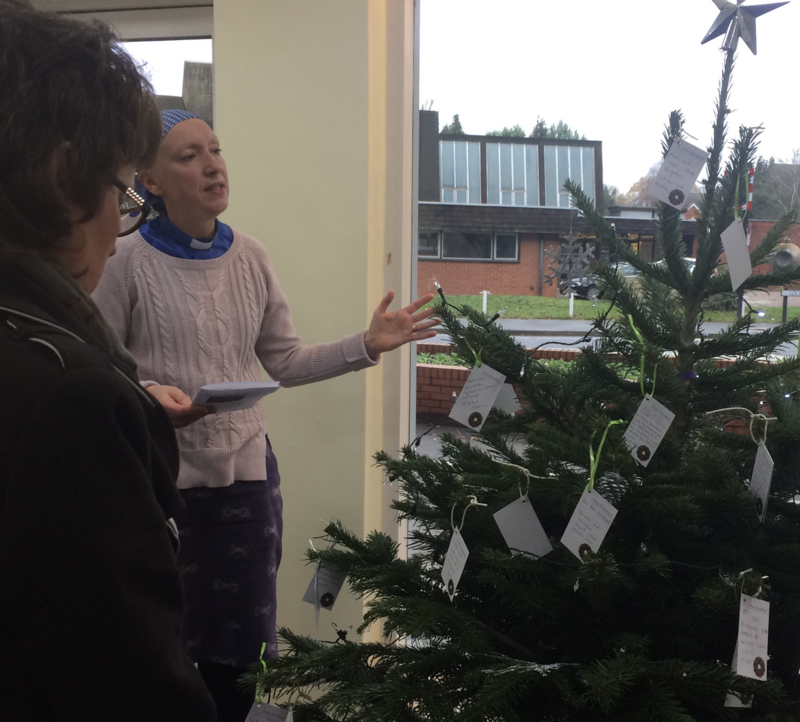 Lodge Brothers of Woking held a ‘Christmas Tree Blessing’ event on Thursday 29th November 2018 at 10.30am. Clients were invited to take a card and write a message to place on the Christmas tree. Many of these cards have already been received with poignant messages to loved ones. The Reverend Kate Wyles from St Andrew’s Church, Goldsworth Park in Woking kindly attended to pray a special blessing in our branch. She led a personal service offering a chance for us to remember missing loved ones. The reading made reference to trees through the bible such as the fig tree, cedars of Lebanon to name just a few and she offered words of comfort. An opportunity was made to hang cards on the tree as Ave Maria played softly, a meaningful piece of music for a client attending. Refreshments were offered afterwards.